Throughout this preseason, Purple & Gold previewed all of Western's 2016 football opponents. We've enjoyed getting to know Western's opponents a little better and we hope you've enjoyed reading about them. The 2016 SoCon Football Schedule. The season kicks off with four Thursday night games, and a rare Friday night game, on September first and second. Not a lot of non-Div I games this year in the schedule, which is good for the conference RPI, we just need to win those OOC FCS games, and a few FBS games. Good Luck to all the SoCon teams in their out of conference schedules. Shorter University at Chattanooga - Chattanooga, Tenn. 7:00 p.m. Throughout this preseason, Purple & Gold previews all of Western's 2016 football opponents. Today we look at the final regular season opponent: the South Carolina Gamecocks. For their eleventh game of the season, the Catamounts travel to Columbia, SC to meet the SEC;s Gamecocks. The Cats last played South Carolina in 1989. The Series: This will be the fifth meeting between the Catamounts and Gamecocks. All four previous meetings were held in Columbia between the 2086 and 1989. All four games were won by the Gamecocks. Will Muschamp was introduced as the University of South Carolina's 34th head football coach in a press conference held at Williams-Brice Stadium on Dec. 7, 2015. Regarded as an outstanding defensive mind, Muschamp, 44, is a 21-year coaching veteran, including 13 years in the Southeastern Conference. He has previous head coaching experience, posting a 28-21 record (.571) at the University of Florida from 2011-14. Last Game vs. South Carolina: October 21, 1989 - South Carolina beats WCU, 24-3 - First-year coach Dale Strahm brought the Division 1-AA, 3-2-1 Western Carolina Catamounts to Columbia to meet the 24th ranked, 4-1-1 South Carolina Gamecocks of coach Sparky Woods. No Division 1-AA team had ever won The Belt & the Catamounts hoped to make history. The Gamecocks did not succumb as RB Harold Green rushed for 150 yards with a touchdown & RB Mike Dingle scored 2 touchdowns in a 24-3 South Carolina win to retain The Belt. A new era of Gasmecock football begins in 2016, as Will Muschamp takes over the head coaching reins from Steve Spurrier, The South Carolina offense returns four starters from a squad that averaged just under 22 points a game, and returns 45 percent of their rushing yards, 93 percent of their passing yards and 27 percent of their receiving yards from last season. The Gamecocks list 12 returning starters from last season (four on offense, six on defense and two specialists). The returning offensive starters are WR Matrick Belton, OC Alan Knott, QB Perry Orth and OT Mason Zandi. The returning defensive starters include SS Jordan Diggs, LB T.J. Holloman, DE Marquavius Lewis, CB Rico McWilliams, LB Skai Moore, and DT Taylor Stallworth. The returning specialists are PK Elliott Fry and P Sean Kelly. Prior to last season, the Gamecocks had won 22-straight home games against non-conference opponents before dropping their final two games of the 2015 season to non-conference foes The Citadel and Clemson. Throughout this preseason, Purple & Gold will preview all of Western's 2016 football opponents. Today we look at the Furman Paladins. The Cats trail Furman 12-29-2 all-time in the series that dates back to 1971, when Western Carolina joined the Southern Conference. Named Furman University’s head football coach on Dec. 13, 2010, Bruce Fowler, in four years has firmly applied his stamp on a Paladin football program he has served for a quarter century as a player, assistant coach, and head coach. In 2013 Fowler’s Paladins, a consensus preseason No. 7 pick in a pair of Southern Conference polls, engineered one of the most impressive mid-season turnarounds in collegiate football. Forced to contend with injuries to the squad’s top three quarterbacks over the first six games, Furman struggled to a 2-4 record at mid-season before hitting stride, winning its last five league games to en route to capturing a share of the program’s 13th SoCon championship and the league’s automatic bid to the NCAA Football Championship Subdivision (FCS) playoffs — the Paladins’ first postseason appearance since 2006. Reese Hannon returns as the favorite in the race for the QB job. Hannon played in nine games last fall and completed six TDs passes, but added 6 picks. PJ Blazejowski played in six games, but fared little better. The running game for the Paladins was anemic last season, and with Ernie Cane, who led the team with six rushing TDs last season gone, the running game looks to be a problem area as well. On defense, the Paladins gave up over 222 yards rushing per game last season, and will be a big area of concern again for Furman. On offense the Paladins return 6 starters: Jackson Buonomia (OT), Duncan Fletcher (TE), Reese Hannon (QB), Matthew Schmidt (OT), Andrej Suttles (FLK), and Antonio Wilcox (RB). On defense 7 starters are back: Jordan Hawkins (NT), Byron Johnson (SS), Jamarri Milliken (CB), Brad Minter (DE), Carl Rider (LB), Trey Robinson (S), and Brian Ross (DE). Throughout this preseason, Purple & Gold will preview all of Western's 2016 football opponents. 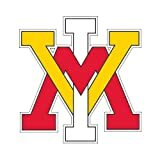 Today we look at the VMI Keydets. The Cats have won both games against the Keydets since their return to the Southern Conference in 2014. The Series: Western currently leads the series with VMI, by an 18-3 margin. The Cats and Keydets first played on the gridiron in 1978, and the Cats own a thirteen game winning streak over the Keydets. Scott Wachenheim was named VMI's newest head football coach on Dec. 14, 2014. A 1984 graduate of the United States Air Force Academy and veteran coach with over 25 years of experience in the college ranks, Wachenheim comes to VMI from the University of Virginia where he has served the past five seasons and as Cavaliers offensive line coach since 2011. Prior to his tenure in Charlottesville, Wachenheim was the offensive coordinator and offensive line coach at Liberty University for three seasons (2006-08). Scott Wachenheim enters his second year as the head coach of one of the most difficult programs in FCS football to pick up wins. While quarterback Al Cobb showed huge flashes at times last season, he has got to learn how not to turn the football over, last season he had a total of 18 picks. He passed for 2736 yards last season, completing 61.2% of his passes. The Keydets lost 4 on offense, OL – Nate Murray, OL-Chad Reed, RB- Derrick Zigler. & WR- Sam Patterson. On defense, they lost DL-Denton Ensminger, DL-Joe Nelson and DB-Caleb Furlow. Throughout this preseason, Purple & Gold will preview all of Western's 2016 football opponents. Today we look at the Chattanooga Mocs. For their eighth game of the season, the Catamounts return to Cullowhee for the forth home game of the season. The opponent is last year's co-champion, Chattanooga.. The Cats last won against the Mocs in Cullowhee back in 2008, with a 27-7 victory over Chattanooga. Head Coach: Russ Huesman Very few individuals can impact a program the way Russ Huesman has influenced the Chattanooga Mocs since taking over as the 22nd head football coach at his alma mater on Dec. 22, 2008. Huesman has orchestrated a monumental turnaround over the last seven years, including three-straight Southern Conference titles and back-to-back trips to the FCS Playoffs. A 1983 graduate of UTC and a former defensive back for Chattanooga, Huesman used his 25 years of coaching experience to change the culture of Mocs football – in the classroom, in competition and in the community. Coach Huesman led Chattanooga to its first SoCon title since 1984 and just its fifth in school history in 2013. The Mocs are ranked in several preseason polls, including No. 7 in Athlon Sports, No. 8 in the Sporting News and No. 11 in Lindy’s. They are replacing three starters on offense - quarterback Jacob Huesman, right guard Synjen Herren and tight end Steve Pickren. UTC is also replacing five on defense - linemen Josh Freeman and Toyvian Brand, linebacker A.J. Hampton, "dime" Sema’je Kendall and DB Dee Virgin. Returning are three who are garnering preseason All-American recognition, senior offensive lineman Corey Levin, defensive lineman Keionta Davis, and junior defensive back Lucas Webb. 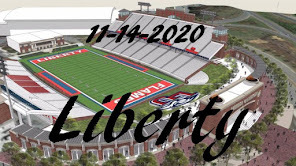 Changes in the football staff have Carey Bailey as the defensive line coach while Rob Spence is the new receivers coach., while Adam Ross took over the offensive line. Throughout this preseason, Purple & Gold will preview all of Western's 2016 football opponents. Today we look at the Samford Bulldogs. For their seventh game of the season, the Catamounts travel to Birmingham, AL to meet the Bulldogs in Seibert Stadium. This will be the Cats second straight road trip and fifth conference game of the year. Since Samford joined the Southern Conference in 2008, Western is 1-7 against the Bulldogs. Head Coach: Chris Hatcher. Hatcher was named Samford’s 36th head football coach on Dec. 11, 2014. 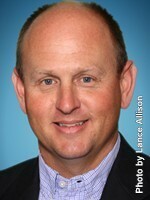 His career record is 121-57 in 15 years as a college head coach at Murray State, Georgia Southern and Valdosta State. 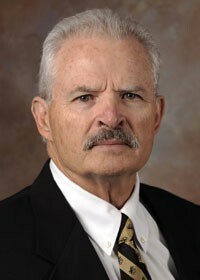 Hatcher served as the head coach at Murray State since 2010.and had five seasons with the Racers, Hatcher’s teams employ the high-powered “Hatch Attack”. Devlin Hodges returns as the starting QB and looks to be one of the better QBs in the league. The Bulldogs return a solid and deep group at RB, with Denzell Williams leading the way after running up 518 yards last season. The receiving corps is solid as well, as the top five receivers return from last season. Karel Hamilton leds the receivers with 75 receptions, followed by Emmanuel Obajimi (54-826) and McKnight (57-616). While the offense stacks up well, there may be problems with the defense that gave up over 220 years per game last season. Throughout this preseason, Purple & Gold will preview all of Western's 2016 football opponents. Today we look at the Mercer Bears. For their sixth game of the season, the Catamounts travel to Macon, GA to meet the Mercer Bears. This will be the Cats second time traveling to Mercer for football. Throughout this preseason, Purple & Gold will preview all of Western's 2016 football opponents. Today we look at the Wofford Terriers. In the fifth game of the 2016 season, Wofford travels to Cullowhee for what will be the Cats second straight home game, and the third in Cullowhee this season. In a series that started in 1952, The Cats and Terriers have played a total of 38 times, and the Cats are 10-9-0 againt the Terriers in games played in Cullowhee. The Series: The Cats are 14-24 overall against the Terriers. having won the last two times the two teams played. Entering his 29th season, Mike Ayers is the dean of Southern Conference football coaches. Ayers has guided the Terriers from the NAIA and NCAA Division II ranks to Division I and the Southern Conference. 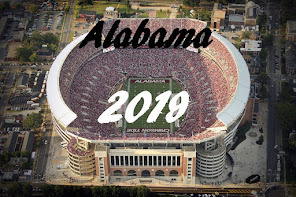 Along the way, the team made appearances in the Division II Playoffs in 1990 and 1991, the Division I FCS Playoffs in 2003, 2007, 2008, 2010, 2011, and 2012, and claimed Southern Conference titles in 2003, 2007, 2010, and 2012. Last Year's Record: 5-6 overall, (home 3-3, road 2-3) 3-4 in the SoCon. The Terriers lost to The Citadel, Western Carolina, Chattanooga, and Samford last season. Western Carolina Fends Off Wofford for Road Victory, 24-17 - Troy Mitchell threw for 203 yards and two touchdowns and Western Carolina capitalized on five Wofford turnovers as the Catamounts held off the Terriers, 24-17, in Southern Conference action Saturday afternoon at Gibbs Stadium. After mounting fourth quarter rallies for the first two wins in the current three-game win streak, it was the Catamount defense which was called upon to stand tall in the final frame on Saturday. In 2015, the Terriers were 5-6 overall and 3-4 in the Southern Conference with wins against Mercer, VMI and Furman, and losses to The Citadel, Western Carolina, Chattanooga, and Samford. Their 5-6 record marked the second losing season in the past three years for the Terriers. Wofford used three different starting quarterbacks during the season. Brad Butler was 14-of-25 passing with 101 rushing yards in three starts, Brandon Goodson was 3-of-8 passing with 24 rushing yards in 3 starts, and Evan Jacks was 34-of-65 passing with 675 rushing yards, including five starts. The Terriers lost 20 seniors from the 2015 team, but only 5 starters from that group. The Terriers lost wide receiver Will Irwin, running back Ray Smith and tight end Taylor Bragg on the offensive side of the ball, as well as, line backer Drake Michaelson & corner back Brion Anderson on defense. Throughout this preseason, Purple & Gold will preview all of Western's 2016 football opponents. Today we look at The Citadel. Coming off the 2015-16 season tied for a Southern Conference championship, the Bulldogs travel to Cullowhee for the forth game of the young Catamount football season. Western faces the Bulldogs for the forty-first time since 1972, in the Catamount's second home game of the season. The Series: Western trails The Citadel 16-23-1 overall in the series, but are 10-10 in games played in Cullowhee. Can the Cats improve on those two records this year? Head Coach: Brent Thompson - Thompson was named The Citadel's 25th head football coach on January 19, 2016. Thompson served as the Bulldogs’ offensive coordinator and quarterbacks/B-Backs coach for the past two seasons. His rushing attack produced 27 individual 100-yard rushing games in that time, including a single-season program-record 14 in 2015, which ranks as the most in any two-year stretch in school history. In 2015, The Citadel finished 9-4 overall after advancing to the second round of the NCAA FCS Playoffs for only the second time in school history. The Bulldogs earned the program’s first road playoff win with a 41-38 victory at Coastal Carolina in the first round of the playoffs. Those are great stats for the defending champions to bring to Cullowhee, but they also will bring in a brand new head coach (Brent Thompson), a brand new offensive coordinator (Lou Conte) and brand new defensive coordinator (WCU alumni Blake Harrell). While not new to the Citadel, all three are new to their 2016 positions, so we'll how how such a massive turnover in positions, as well as the loss of a head coach affects this team.